THIS EVENT HAS ALREADY OCCURRED. Check out the VIC calendar for our current shows and events. Ventura, CA (August 17, 2011) — Labor Day weekend marks 3 nights of improvisational comedy shows offered by some of the best performers in the west at Smorgas-prov, the 12th annual comedy improv festival hosted by the Ventura Improv Company (VIC). Ventura Improv Company, the downtown Ventura landmark, welcomes performers from all over the West, including master improvisers from Seattle, Los Angeles, and a talented group of high schoolers from Palos Verdes. Nation of Improv, a popular African-American long-form improv group from Los Angeles, who were an audience favorite at the VIC in 2008, return to the festival stage on Saturday night. Among the performers in the other shows, including the grand finale “Smorgas-prov” showdown on Sunday evening, include Randy Dixon of Unexpected Productions in Seattle, Seth Brown from LA, Ojai’s Zenprov, and the talented students from the Chadwick School in Palos Verde, who have been attending the Labor Day fest since 2000. Smorgas-prov begins on Friday, September 2, with a show from 8-10pm; continues with two evening shows between 7-11pm on Saturday, and ends with the grand finale on Sunday from 7-11pm. More information about the festival can be found at www.venturaimprov.com/festival. High hilarity by our local performers and our visitors from all over the West including the fantastic Randy Dixon from Unexpected Productions, Seattle! Music, improv, scenes — FUN! Only one improviser will remain the King of the Hill by the end of this show. Saturday, September 3: Two Great Shows! Tickets: $10 per person per show. 7-9pm: Micetro — Who Will be the Last Improviser Standing? Individual improvisers will be pitted against each other, vying to be the Micetro of the night, as players are elimated from the race! A mad mix of our improv players from all over the West! It will be hilarious, competitive, and wild! 9-11pm: Nation of Improv and Now TownThe Nation of Improvb***h slaps traditional improv shows by pushing “yes and…” to the extreme with a Black, urban style that blends, sketch comedy, improvisation and multimedia into a big laughs comedy party. The Nation of Improv is David Pompeii (The Daily Show, Heroes), Dave Carter, Raymond Parker, Bart Folkerts, Gene Smith and Lloyd Collins.Now Town is inhabited by three improvisers: Jennifer Y. Chou, Mikaela Bennett, and Sara Neff. With several decades of improv experience among them, the residents of Now Town perform short form improvised scenes, as well as full-length improvised plays. 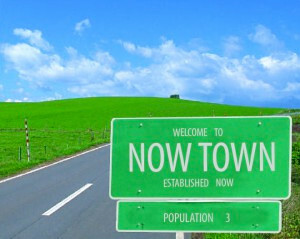 Welcome to Now Town; Established: Now. Who will be the grand Comedy Improv Challenge victor? Our improv visitors from all over the West, including LA and Seattle, will compete in this three-hour showdown! It will be a hilarious, magical evening as our Laughstock Improv Labor Day Fest draws to a close! Many thanks to our locals and out-of-towners that grace our stage with their presence! 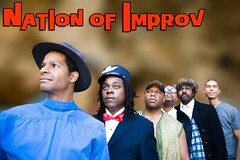 Nation of Improv, Los Angeles, CA — David Pompeii, Dave Carter, Raymond Parker, Bart Folkerts, Gene Smith, Lloyd Collins.